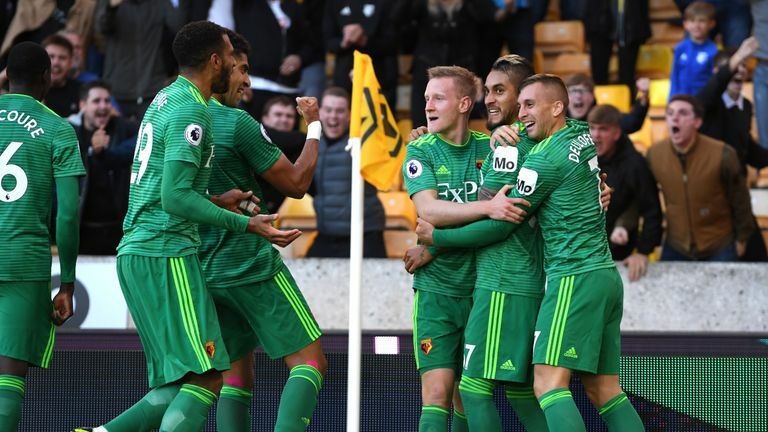 Watford scored twice in 58 seconds to win 2-0 at Molineux and bring an end to Wolves' six-game unbeaten run in the Premier League. The Hornets produced a perfect response after losing 4-0 to Bournemouth two weeks ago, and there was less than a minute between Etienne Capoue (20) and Roberto Pereyra's (21) strikes that sealed the win for the visitors. While Wolves improved in the second half, they rarely tested Ben Foster and had just one shot on target - a back-heel from Willy Boly that was saved easily by the Watford goalkeeper. Watford move above Wolves by a place and a point in the table - going into seventh on 16 points - and end their four-game wait for a Premier League victory. 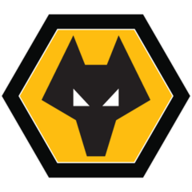 Wolves: Patricio (6), Bennett (5), Coady (5), Boly (5), Doherty (5), Moutinho (6), Neves (6), Jonny (5), Costa (7), Jiminez (6), Jota (6). Subs used: Vinagre (6), Cavaleiro (6), Traore (5). 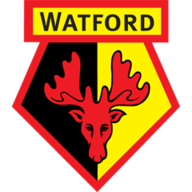 Watford: Foster (6), Feminia (7), Cathcart (7), Mariappa (7), Capoue (7), Masina (7), Doucoure (8), Hughes (7), Pereyra (8), Deulofeu (7), Success (6). Subs used: Gray (4), Prodl (n/a), Wilmot (n/a). Man of the match: Abdoulaye Doucoure. After a quiet start, the game burst into life in the 20th minute. Pereyra picked out Abdoulaye Doucoure at the top left corner of the box, and he touched the ball back into the path of the waiting Capoue who hammered the ball home from around 30 yards - sending it through the legs of Conor Coady - and leaving Rui Patricio rooted to the spot. Watford doubled their lead just 58 seconds later. They won the ball back with lightning speed after the restart, with Gerard Deulofeu bursting towards goal before finding Doucoure. He then slid the ball into the feet of Pereyra down the left of the box, with the Argentine producing a marvellous chipped finish to send the ball over Patricio and into the top far corner. Wolves named the same XI for the ninth successive Premier League game. Watford made four changes with Troy Deeney (hamstring) and Andre Gray missing out on the XI. Adrian Mariappa, Adam Masina, Gerard Deulofeu and Issac Success came in. Wolves' only real chance of the first half came in the 40th minute as Diogo Jota slotted the ball into Raul Jiminez's but the forward could only drag the ball wide of the far post. Doucoure nearly added to his two assists with a goal not long after, but his effort was collected well by Patricio. The hosts improved in the second half and saw the better of possession, but never really tested Foster, with many chances running wide of going over the crossbar. In the 62nd minute they did work the goalkeeper as Joao Moutinho's free-kick was nodded down into the path of Boly, but his attempt to back-heel the ball home was saved down low. Seven minutes later and Watford should have added their third. Isaac Success slotted the ball into the path of Doucoure but some wonderful tracking from Ruben Neves allowed him to get across the body of the Watford midfielder to stifle his shot, with Patricio also of his line to help smother the ball wide. Substitutes Ruben Vinagre and Ivan Cavaleiro brightened the game up for Wolves in the second half. With 12 minutes to play, another wonderful cross from the former that was headed towards goal by Cavaleiro, but it went over the crossbar as Wolves suffered their second defeat of the Premier League season. This was Wolves' first loss in 15 games in all competitions at Molineux since losing against Nottingham Forest in the Championship in January. Watford have won two of their last four away games in the Premier League (D1 L1), more than had in their previous 16 games combined (W1 D2 L13). Wolves have named the same starting XI in each of their opening nine games of the season, extending the Premier League record for this feat. Roberto Pereyra's goal was his first away league goal for Watford since scoring against Chelsea at Stamford Bridge in October 2017 - each of his previous seven goals had been at Vicarage Road. It was a toss-up between Doucoure and Pereyra for the accolade, but the former produced two wonderful assists and had the best chances to score a third for Watford during the game at the end of the first half and in the middle of the second. Along with Capoue, he helped smother the Wolves midfield as they struggled to get forward in the first half, and showed his cool head as they improved after the break. Ultimately, the reigning 'player of the season' had a huge hand in Watford's win. Wolves will travel to Brighton in the Premier League next Saturday while Watford welcome Huddersfield.